I will never, ever forgive the Republican Party for supporting Roy Moore. Will Alabama’s elect a racist, bigoted, contemptuous, child-molester who abused his authority as DA in order to gain power over vulnerable women and children? Will the Trump strategy work? Will Republicans vote for a person who is morally reprehensible in order to insure they elect a man who promises to oppress religious minorities, immigrants, and women and LGBTQ people? Will they do it holding their noses? Pretending to hold their noses but secretly quite happy about the idea of electing someone who exploits the vulnerable? Or will they do it gleefully? If so, will this mark the start of a flood of the most deplorable candidates possible–more Roy Moores and Bo Dietls and other candidates whose flamboyancy shouldn’t disguise their disgust for anyone unlike them. Or will Republicans go into the voting booth–or just drive by it–and examine their consciences, as Joyce Moore, the Nebraska GOP national party official, did when she resigned from her position over the party’s use of funds to support Moore, and say, “I can’t do it”? Will we see a kind of reverse Bradley effect, in which people feel obligated to say awful things outside the voting booth but then do the right thing when they get inside? Many Alabamans say that the issue is abortion: For those who believe the credible, well-documented accusations against Moore, they may still see the choice as between a child molester and a baby-killer. In this logic, Moore “only” molested a few girls, but pro-choice Democrat Doug Jones supports the murder of maybe a million babies each year. And molestation isn’t as bad as murder. But let’s be honest: The kind of man who “not generally, no” sexually assaulted children and who dates married women–also minors–is also the kind of guy who is likely to coerce women into abortions. A man who is a hypocrite about sexual values is also likely to be a hypocrite about abortion. But even if Moore is exactly who he says he is, Republicans, I think, have done tremendous damage to themselves in supporting him. It’s a toss-up if he will win, and, in the meantime, Republicans are burning women hard. Pro-lifers have spent years reframing abortion as an assault on women, and the GOP has now given its funds to a man who has assaulted girls and lied about it; every pro-life donor and strategist needs to speak up against such undermining if they care about their movement, and many are. Every woman who has been assaulted has to go into the voting booth and re-think her trauma. Even if she votes for Moore, she’s making an association between her pain and Republican politics, and leaves wondering when the party will ever see her as worthy of protection. Every dollar a woman now donates to the national party is one that she knows might be re-distributed to a sexual abuser. And the GOP has decided that, as long as it wins, that’s fine. Women will just have to bear the cost. Why risk all that to elect someone like Moore, who is likely to be a fool in the Senate and will hinder Republicans from here on out? Someone who has a past you clearly didn’t bother to investigate very well–and who knows what other Southern gothic secrets are hiding in Gadsen, Alabama? Why increase the percent of impossible-to-work-with media hogs on your team? Why bring someone on board who is so stupid and disrespectful that he’s been repeatedly fired from his job as a judge? Especially since Jones is moderate enough that he could potentially be brought to vote with Republicans on some issues–and on issues when Jones couldn’t be persuaded, you are probably going to be calling in Mike Pence to break a tie anyway? Above, a millstone. 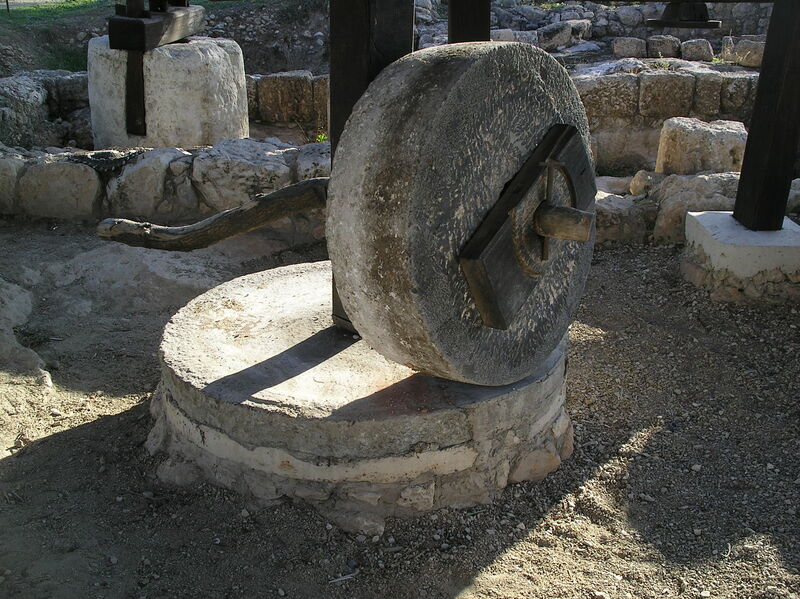 In Matthew 18:6, Jesus warns that it would be better if a millstone were put around your neck and you were tossed into the ocean than if you cause a child “to stumble.” This is the consequence for the the GOP for supporting Moore. When people do things that undermine their stated goals, we can either assume that they are stupid and don’t understand the gap between their actions and the results of those actions–or that they are misrepresenting their goals. I don’t think Republicans are stupid. I think that they (not necessarily every day voters, though some of them, too) use fetuses as a prop in order to gather votes for policies that help straight white men hold power. If being pro-choice got voters out to support white masculine privilege, they would be pro-choice because preserving power, not unborn babies, is their concern. I think wise pro-lifers understand that one Senate seat awarded to a moderate pro-choice candidate isn’t the catastrophe that a Roy Moore win will be. Here’s hoping they vote!